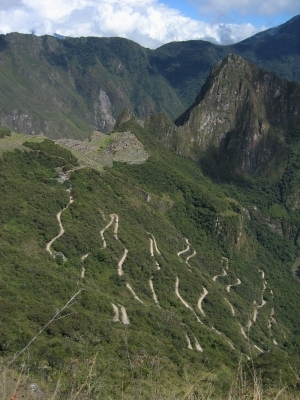 You can walk to Inti Punko, the “Sun gate” or to the mountain behind Machu Picchu “ Huayna Picchu “, in a 45 min climb. Be careful , only 400 tourist a day can climb this and you have to buy the permit far in advance. This permit you have to buy at extra charge, together with your entree fee. From here you have stunning views over the whole complex ! 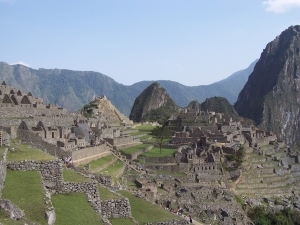 PS: This tour you can do also in 2 days, what we recommend ! Day 1 you take the train to Aqua Calientes and you sleep in a hostal /Hotel in Aquas .In the afternoon you can visit the hot springs or walk to Mandor, a waterfall at the border of the jungle. 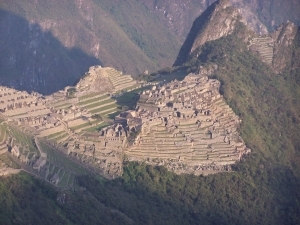 Day 2 you take the first bus around 5.30 AM To see sunrise over Machu picchu .You visit Machu Picchu like that with a few tourist before the train arrive! 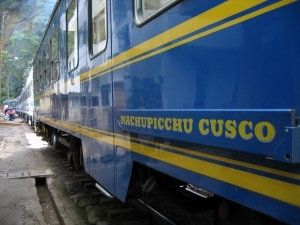 In the afternoon you take the train back direcion Cusco or Ollantaytambo . The price is the same, you only have to add 1 night Hotel / hostal extra to the price. In Aqua Calientes are manny hotels in different price ranges. 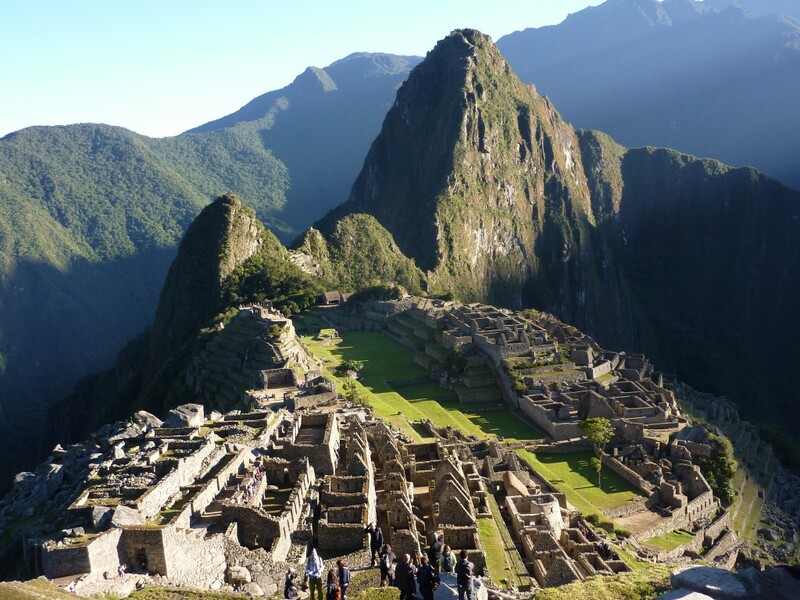 Southamerica planet can arrange the Hotel / hostal for you. * Provided in private upon request! Ask for our Hiram Bingham Packet / To travel in real Luxe !